Spiritual proficiency only comes through knowledge of the Word of God. It takes diligence and perseverance in the things of God to become a proficient, just like it takes diligence in the workplace to become proficient in your profession. God has given to each Believer everything they need to live a good life physically and spiritually. God didn’t say there were to be no battles, but He expects us to take the His word, His promises, the Covenant established by Him, His Holy Spirit and the Name of Jesus and come through every battle as the victor. Everything we need is provided for in the Word of God. ‘Virtue’ means excellence of person, having many qualities. In the King James Bible the word ‘steadfastness’ is translated as patience. God expects us to rise above our lower nature and develop godliness which means excellence of spirit. In other words we are to feed on the Word of God until it brings our natural man under subjection to God’s Word. We are to represent the Kingdom of God here on earth just like Jesus did when He walked the earth. Jesus ministers through us, therefore we should put forth every effort to become as Christ-like as possible. The above scripture tells us that there is no variableness or shadow of turning with God, in other words He does not change, He does not move off His Word. He is steadfast, He is the same yesterday, today and FOREVER, and that is the way we must be if we are to win in the battles of life. We are to be fixed or settled on the Word of God. When something is fixed on something else it becomes a part of that structure. When you attach a door to a house it becomes a part of that house. That’s the way we must be; one with the Word of God. 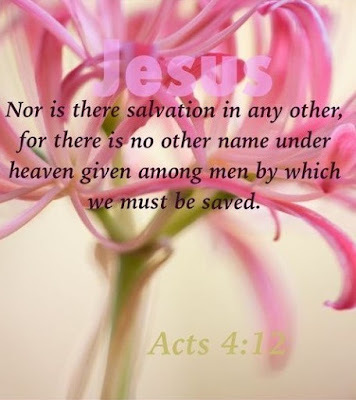 Jesus is praying that we will be in Him, and He in us so that the world will recognize Him as Savior. Just like the door and the house, the door is not the house but a part of it. We are not Jesus, but we are a part of His Body. He is in us, working and speaking through us. He is the Master, we are the vessel, and as we continue in His Word it will renew our minds and develop Jesus’ character in us. When we remain steadfast, steady, and grounded in God when trials come our way, it will witness to those around us. As Children of God we should respond differently than those who don’t know God. We have the Greater One in us to strengthen us and hold us steady on the Word of God. Now, we don’t remain steadfast and just endure, No, we remain steadfast and WIN. Patience is God-given and it works in the face of opposition or oppression. Patience is a spiritual force and it comes from God to hold us steady when the winds of adversity are howling around our house. We are God’s Children and He is calling us to be steadfast in our faith. The great spiritual power that is moving in the earth today is working through those who have developed steadfast faith. God is using believers that are not moved by circumstances, or what they see and hear. There is a lot to be worried about in the world today if you allow yourself to focus on the world system instead of what God is doing. Scripture tells us to exercise self-control and that simply means to take control of self. This may sound a little foolish, but many people never take control of their thinking, their acting, what they desire, or what they subject others to. Our bodies are subject to our minds; what we think about, and that is why God tells us to renew our mind and bring it into subjection to the Word of God. If you don’t restrain and govern the mind, but just let it feed on all the trash that is available, it will rule your body. You will not get your prayers answered, and find yourself in a disaster when the trials of life come your way. Self-control is very, very important to the Child of God. It may be a surprise to some but what we choose to do, most of the time is of our own doing. No one can make you sin. Sin is a choice. Self-control will develop steadfastness which is most important when you are standing in faith for an answer to prayer. Without steadfast faith you will lose the faith battle the first time Satan whispers doubt in your ear. 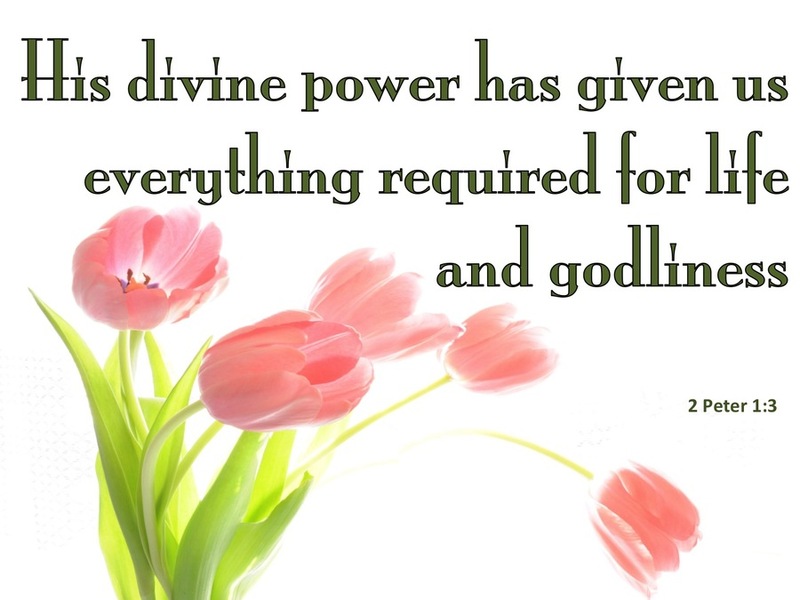 To be steadfast is a high calling because it will develop godliness, and godliness is the character of God that the Holy Spirit will develop in us as we look to Him as our Teacher, Guide, Strengthener, Stand By, Counselor, and Power from on high. In other words if you will develop the character of Jesus, and His Character abounds in you then the Word of God will make you fruitful in your natural life and spiritual life. You will dwell in the secret place of the most High and abide under His Shadow. We want to be fruitful in the knowledge of our Lord, and what the Word of God says. We want the Word of God to direct our path, speak to us, and put us over in life, to make us proficient in our calling and our walk of faith. This should be the desire of every Child of God. If Satan could just take from us our rights in Christ, he would not need to deceive us. Remember this the next time you are standing in faith for your answer. If you didn’t get what you prayed for, why does Satan waste his time trying to get you to doubt? Anytime he comes around peddling doubt, you can be sure that your prayer has been answered. All you need to do during these times is keep the armor of God on and hold steady and when the battle is over you will still be standing and the victory will be yours. It is most important for us to be diligent in the things of God. Learn to listen to the Holy Spirit, develop a listening ear to God’s voice. His word tells us His sheep know His voice. He is speaking, are you listening?